Savio Skimmerfilters are suitable for ponds of all sizes and can be used as the total filtration solution for ponds up to 1,500 gallons. No extra filter needed! This all-in-one approach reduces plumbing and eliminates the need for extra equipment. Maintenance and installation are simplified. 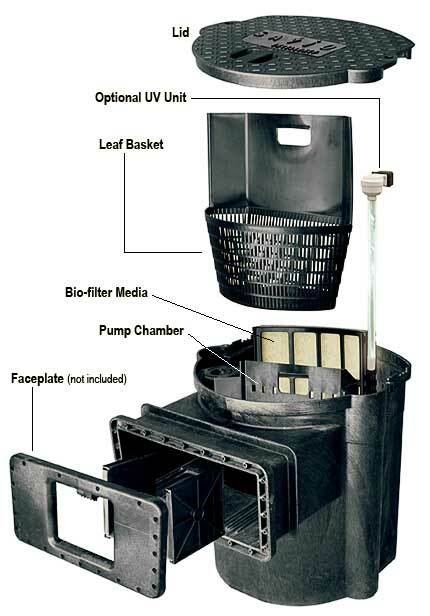 For ponds greater than 1,500 gallons or with fish load, simply add one of the Savio advanced Livingponds biological filters.